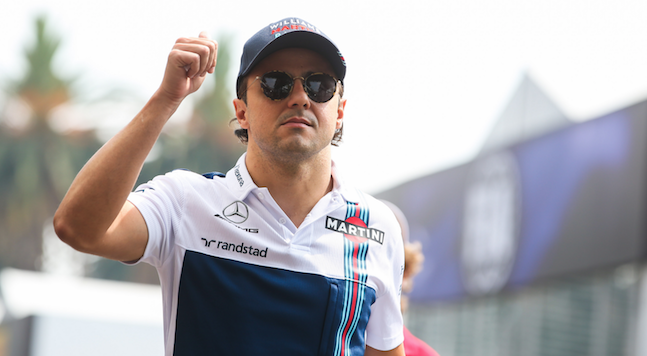 History repeating at Williams as the team confirms that Felipe Massa will retire at the end of the 2017 Formula One season. The Brazilian made his debut with Williams in 2014 and during the last four years he has helped the team secure third place in the Constructors’ Championship in 2014 and 2015, and fifth place in 2016. After initially indicating he would retire at the end of last year, he returned at Williams’ request for the 2017 season, and the team currently stands fifth in the Constructors’ Championship. “As everyone knows, after announcing my retirement from Formula One last year, I agreed to return this season to help Williams when the call came", Massa says. "I have now enjoyed four great years with the team, but my career in Formula One will finally come to an end this season. Once more, I would like to say a big thank you to everyone who has supported me throughout this time: my wife and my father, my whole family, my manager Nicolas and all my friends, colleagues and sponsors. I would also like to add a huge thank you to all of the fans who have been incredibly supportive and passionate over the years. Williams will announce its 2018 driver line-up in due course. “I would like to thank Felipe for all he has done for the team over the last four years. It has been an absolute pleasure to work with him", Claire Williams, Deputy Team Principal, Williams Martini Racing added.